Studies of the use of tea tree oil to treat acne have found it to be at least as effective as benzoyl peroxide (a popular acne medication) with no side effects. (18, 19) In addition, tea tree (melaleuca) oil is a natural antibiotic that kills the bacteria causing your condition. Firstly, olive oil has antibacterial properties and many nutrients that promote skin health. It also removes oil and other toxins from pores and moisturizes skin. Mix 3 drops of tea tree oil and 2 tablespoons of organic extra virgin olive oil. Rinse with cool water and pat dry. Repeat daily and regularly for best results. While there are no current studies that definitely conclude that high levels of sodium in the diet directly contribute to acne, it is a possible cause. Processed and fast foods contain high levels of sodium. Honestly, as you probably know, these foods are not good for your skin due to the amounts of sugar, synthetic chemicals, trans fats, and lack of nutrients they contain. Your body produces various hormones when you’re subjected to stress. So it’s no surprise that chronic stress affects general hormone balance and compromises your immune system. There are many ways to relieve stress, so find out what works for you. Popular stress relievers include exercising, taking a bath, and reading. Probiotics are absolutely essential for gut, and by extension, whole-body health. Hence, having appropriate levels of “good” bacteria in the body are necessary to eliminate harmful bacteria. Probiotics also reduce inflammation. Say it ain’t so, joe. Coffee in moderate amounts is good for you—no question about that. The caffeine in coffee stimulates stress hormones. Coffee can interfere with the metabolism of blood glucose, increasing insulin levels and affecting general hormone balance. It stimulates the craving for sugar, which, in turn, causes inflammation. Coffee can affect healthy gut flora and lead to inflammation and immune response as a result. Try quitting caffeine by eating a more energizing breakfast, exercising in the morning, and drinking herbal tea. Inflammation in the body can contribute to acne, among other things. It’s even known that chronic inflammation leads to heart disease, diabetes, digestive disorders, and cancer. Following an anti-inflammatory diet will promote overall health and reduce the odds of a bout of acne. If the root of your acne is a hormone imbalance, there are things you can do to restore things to their proper levels. Regular exercise relieves stress and supports the immune system. Eat foods that alkalinize the body and help to balance hormone production: beans, lentils, organic poultry and eggs, peppers, cabbage, coconut oil, and flax seeds are a few. Adequate, good-quality sleep gives the body a chance to recover and recalibrate. Steep herbal tea: chamomile, fenugreek, ginkgo Biloba, lavender, mango leaves, and spearmint are all great options. Remove endocrine disrupting chemicals from your home. Be very careful about what you put on your skin. Chemicals in soaps and facial washes can interfere with your natural oils and hormones and irritate your skin. Apple cider vinegar is a natural antiseptic that can unclog pores and remove excess oils. Combine with water in equal part and use as a face wash.
Coconut oil is full of vitamins and antioxidants, nourishing the skin. 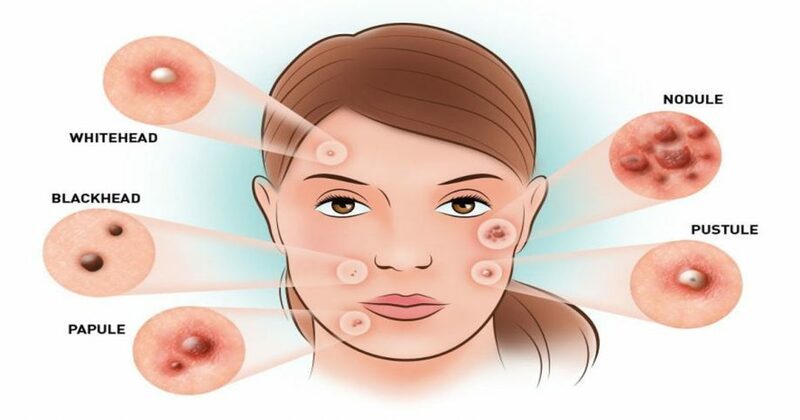 It also contains medium-chain fatty acids that get to the root of the cause of acne. Green tea is nutritious and full of antioxidants. Rinsing with green tea can reduce the acne-causing bacteria on your skin. In fact, drinking it supports skin health from the inside. Hormonal acne may be a natural phenomenon but no one likes it. Being mindful of what goes in and on your body will help you to minimize its severity and frequency.